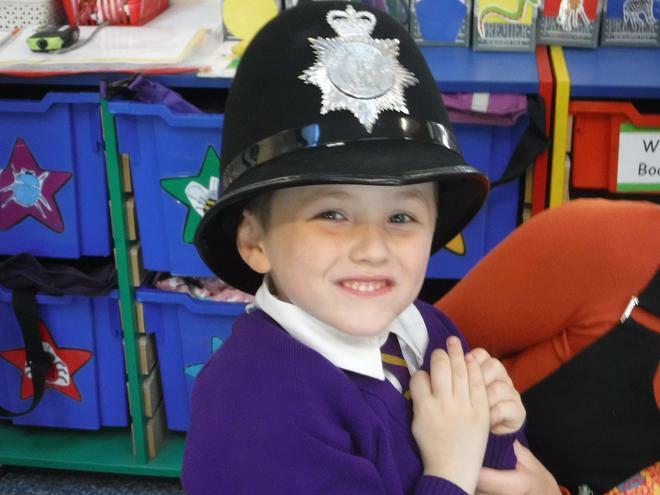 This term in Class 3 we have been sharing our memories. 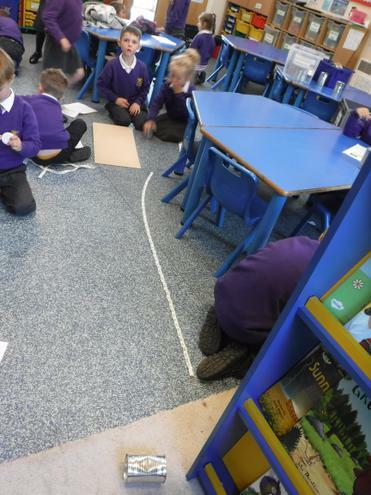 The children have brought in photo timelines of their own lives and we are sharing a few each day. 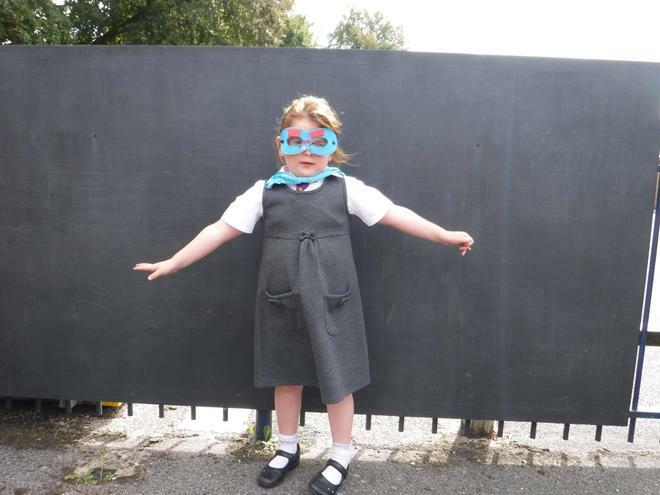 This term is all about Superheroes. 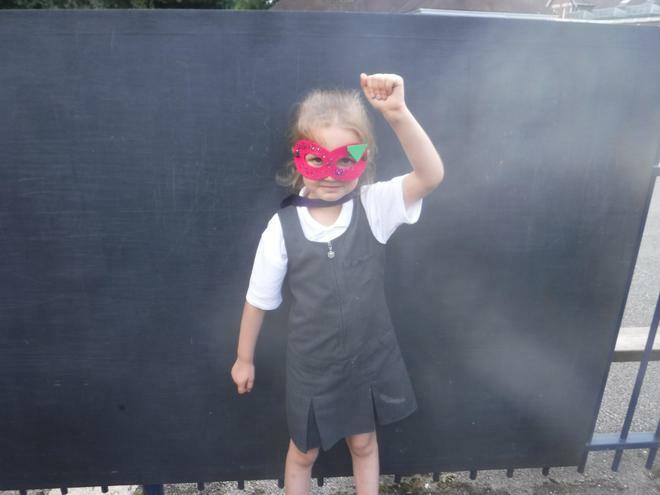 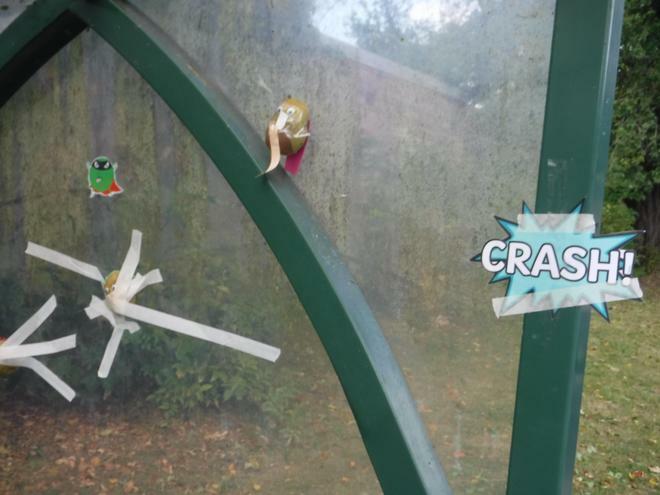 We decorated capes and masks and went on a superhero hunt. 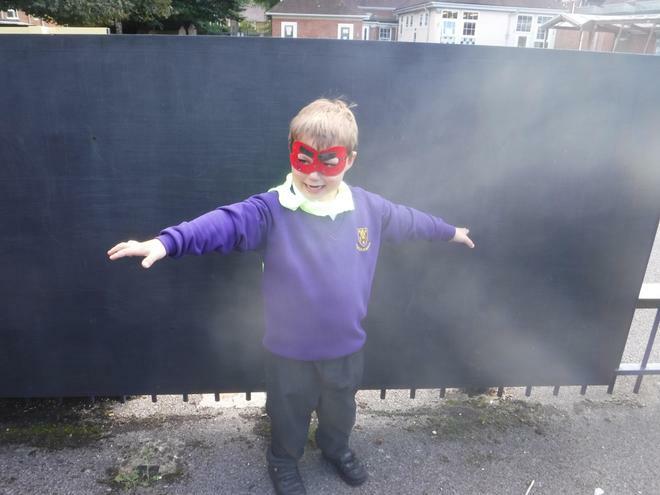 We used these superhero photographs in Art and Design and painted our portraits. 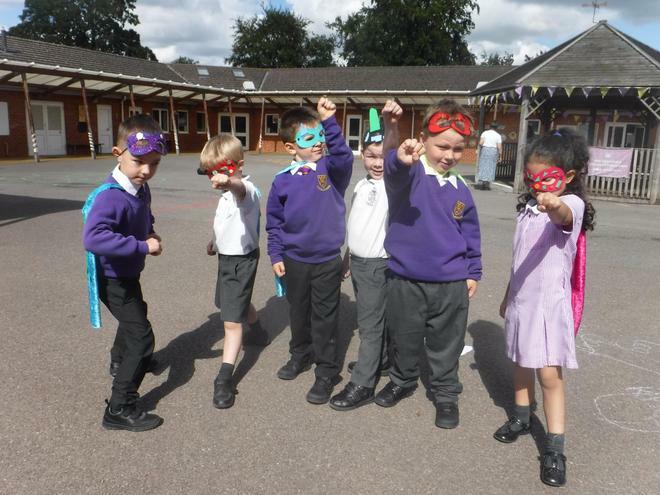 In Literacy, we acted out a narrative to write our very own Superhero comic. 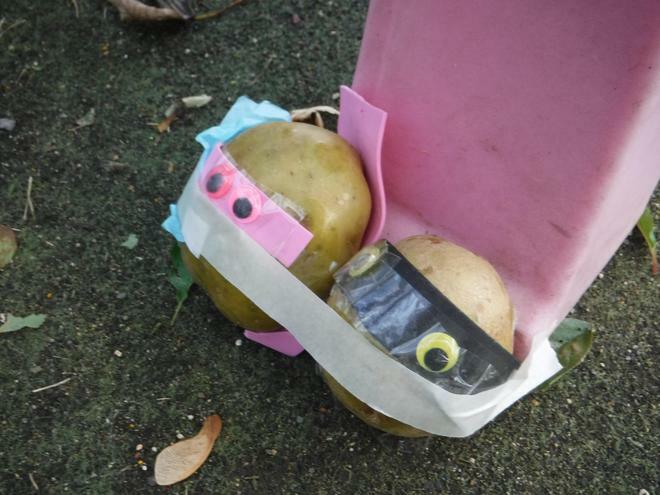 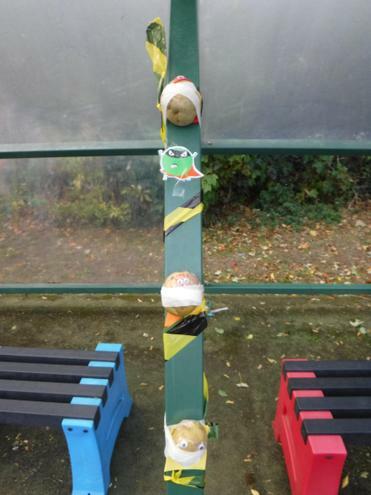 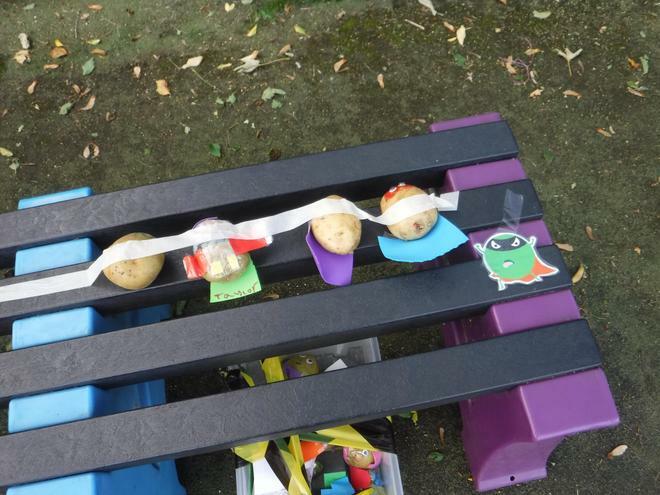 We read the stories of Supertato by Sue Hendra, we made our own super vegetables. 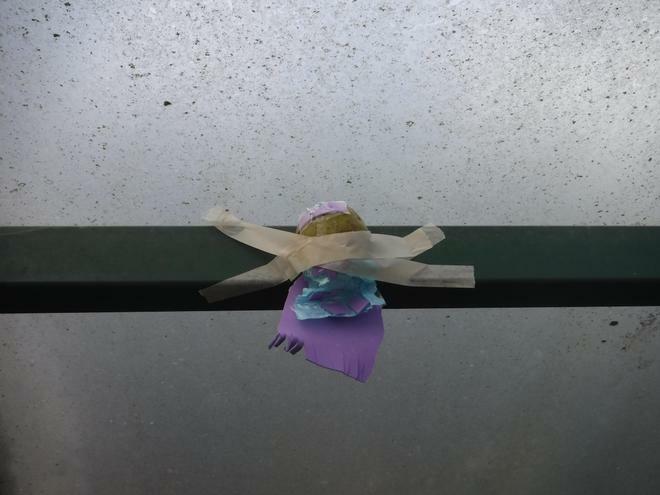 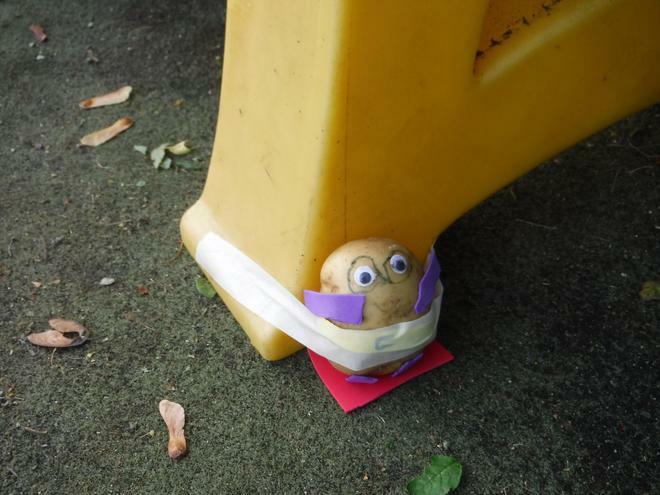 The evil peas caused lots of mischief in class 3, we put on our capes and masks and went on a super search for our supertatoes! 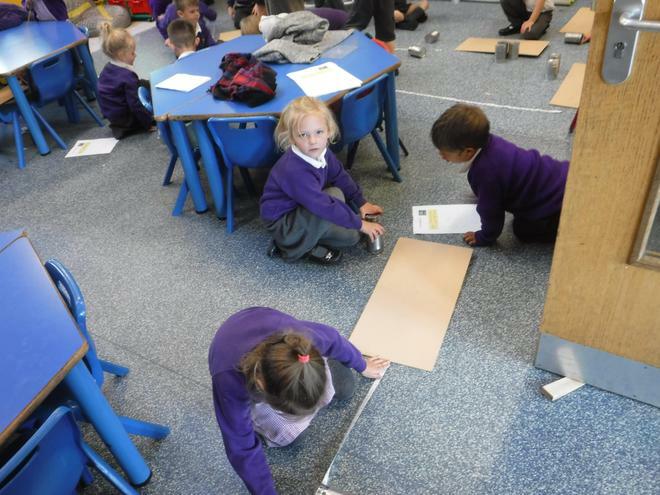 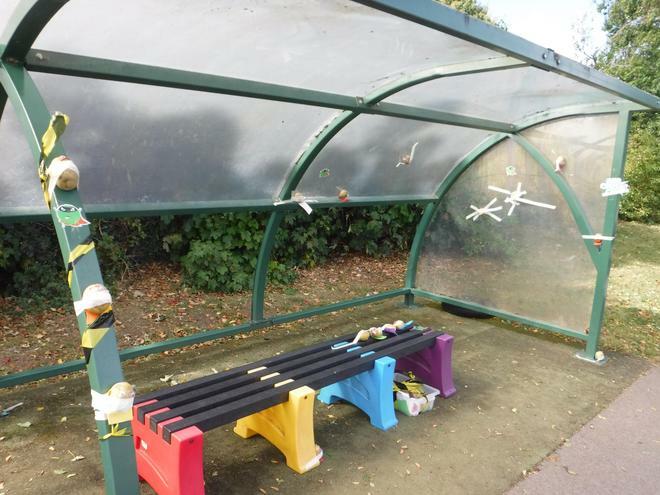 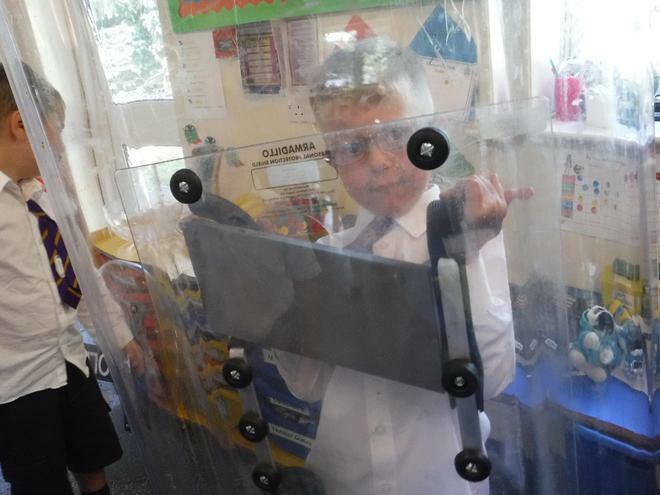 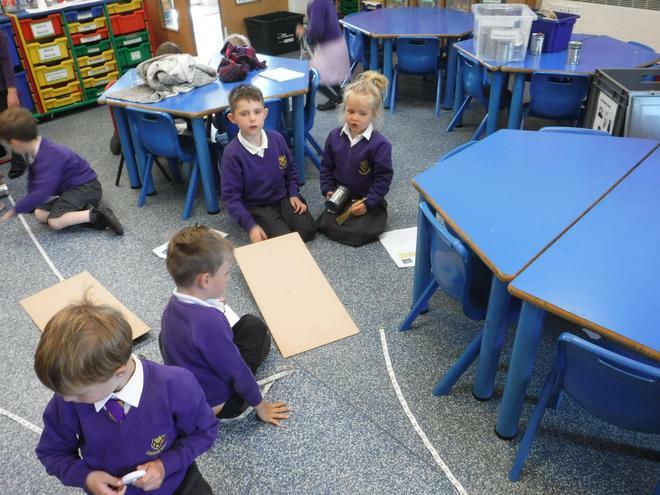 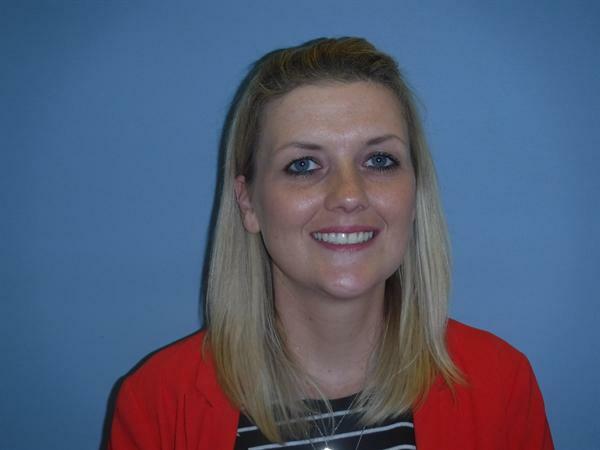 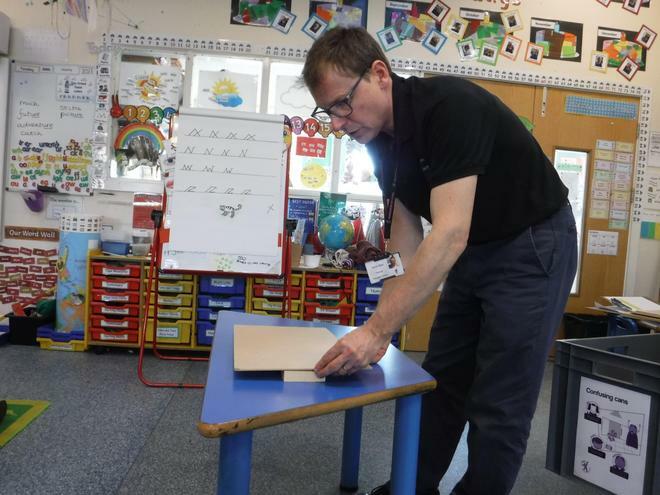 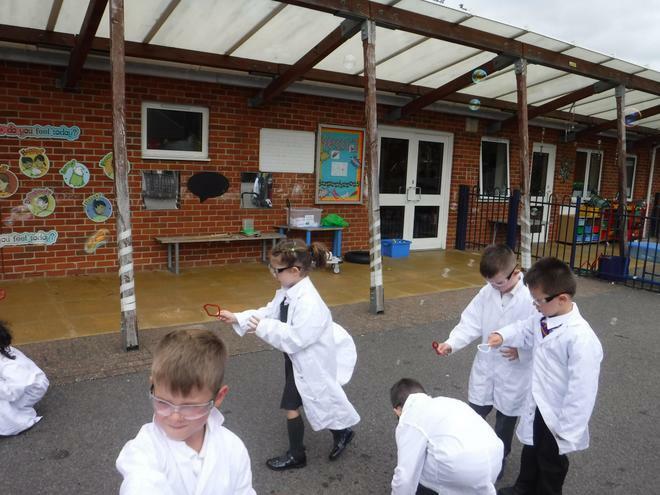 Across the year, class 3 will take part in various Science investigation sessions led by a teacher from Abingdon Boys School. 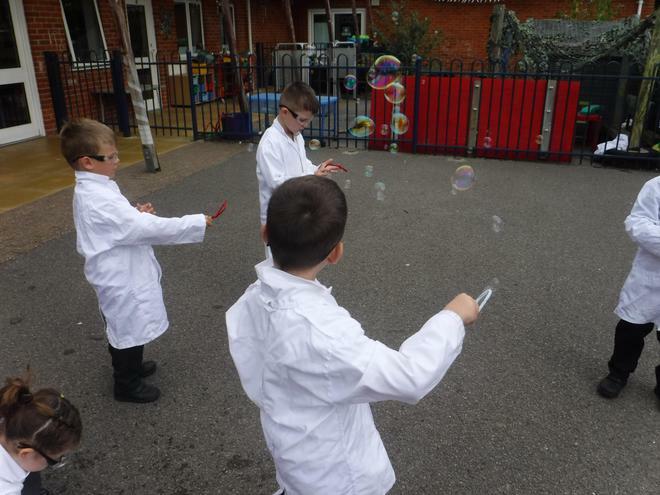 Our first session this term involved making bubbles. 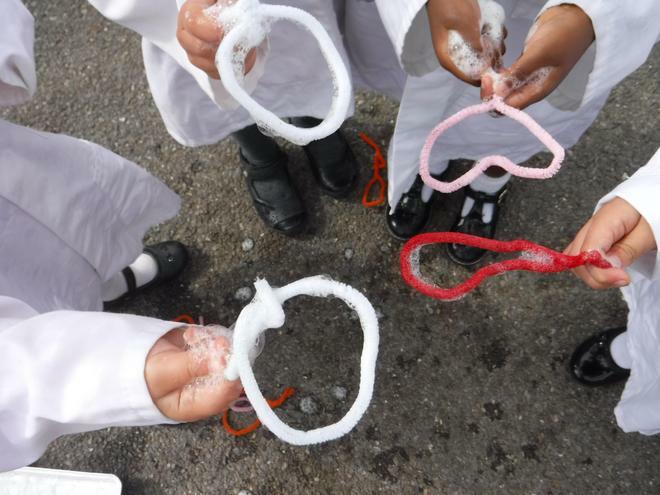 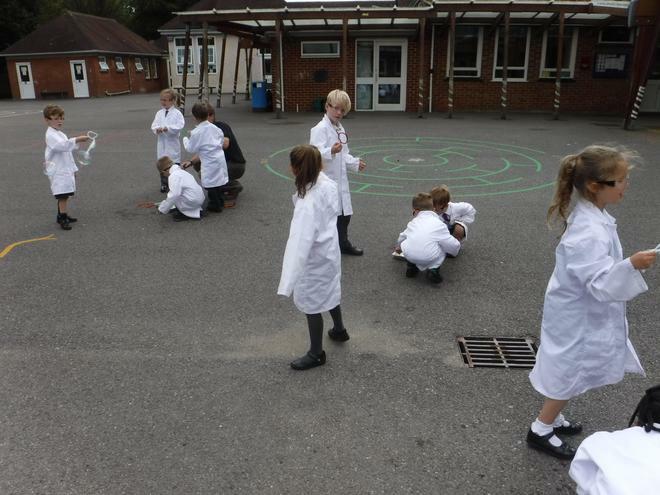 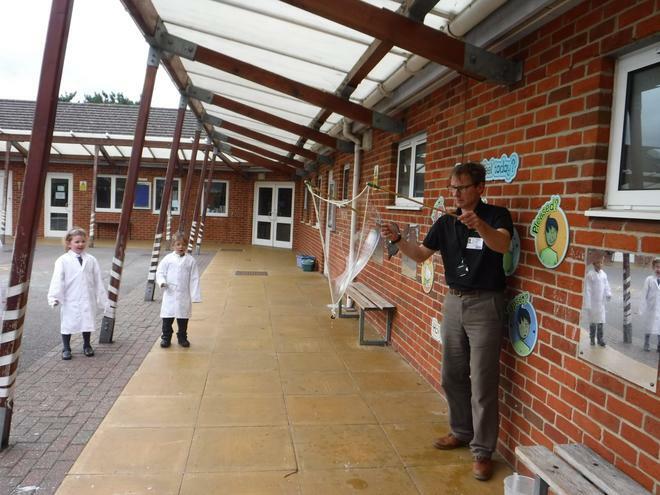 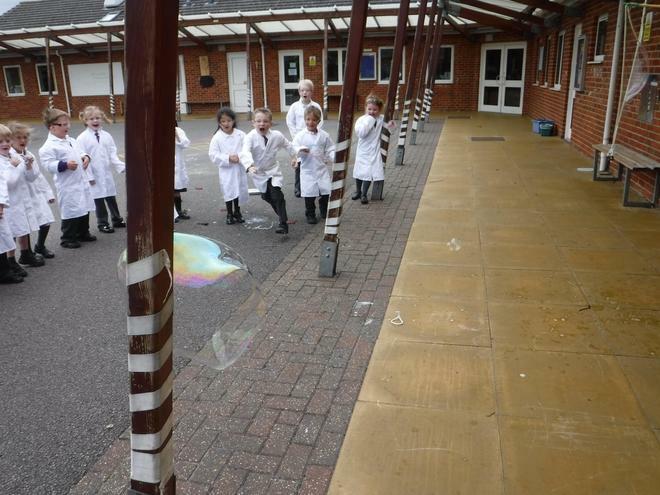 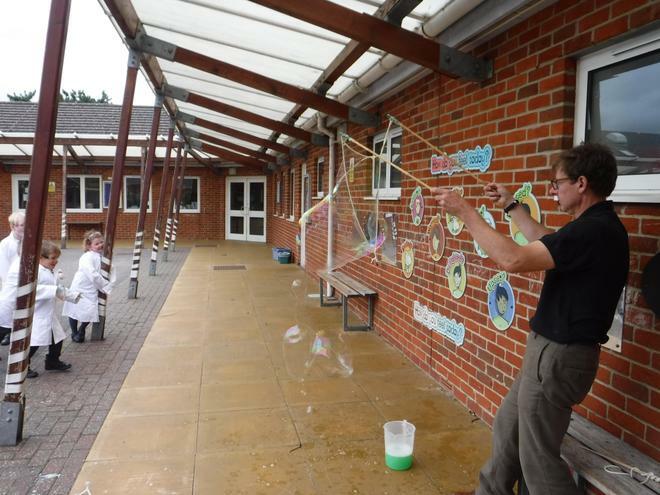 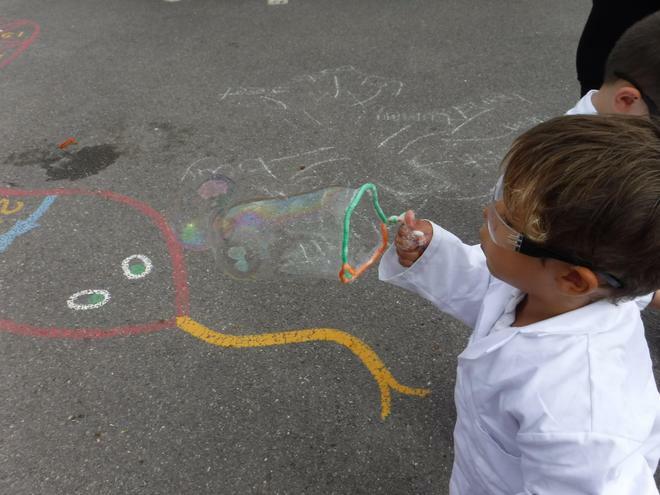 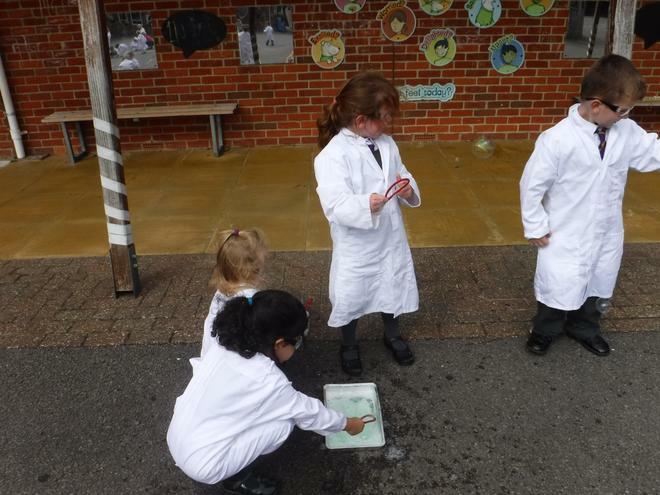 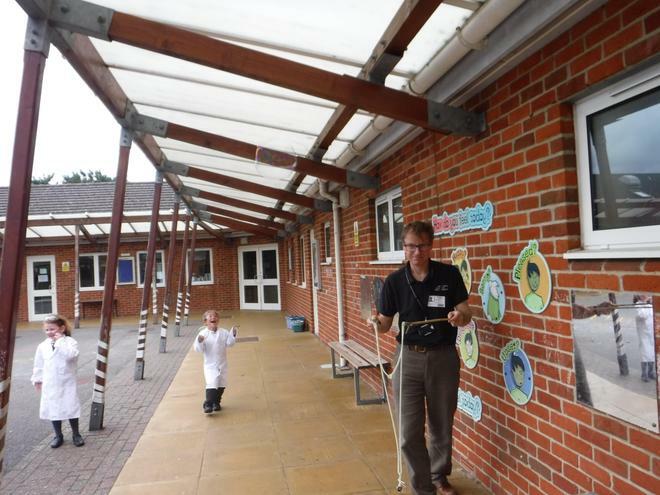 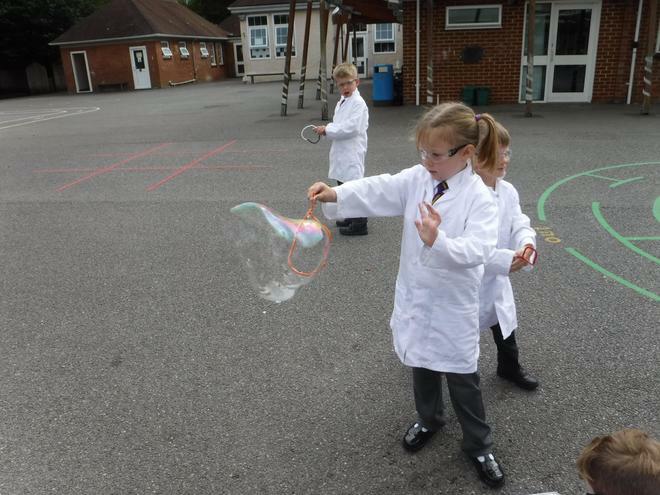 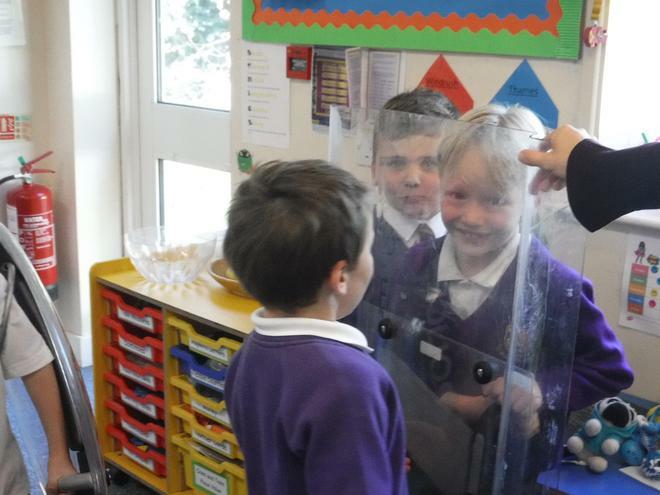 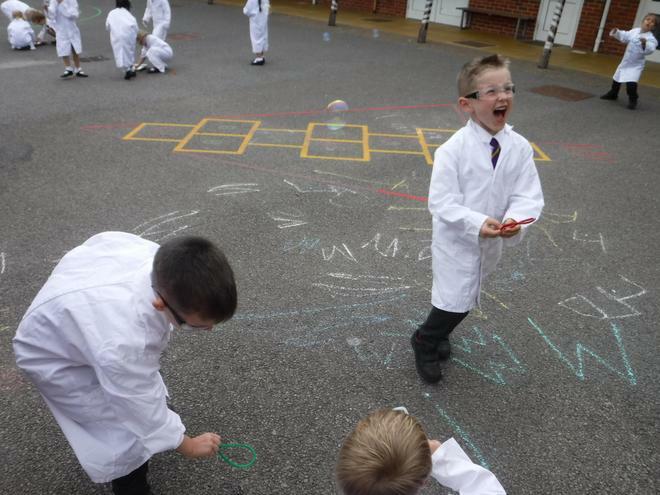 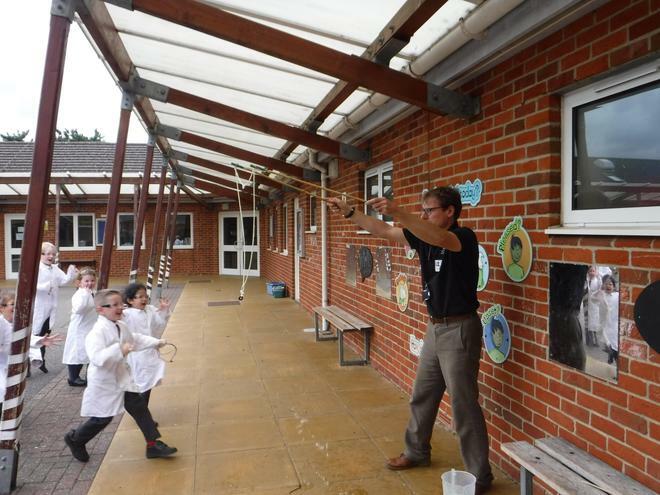 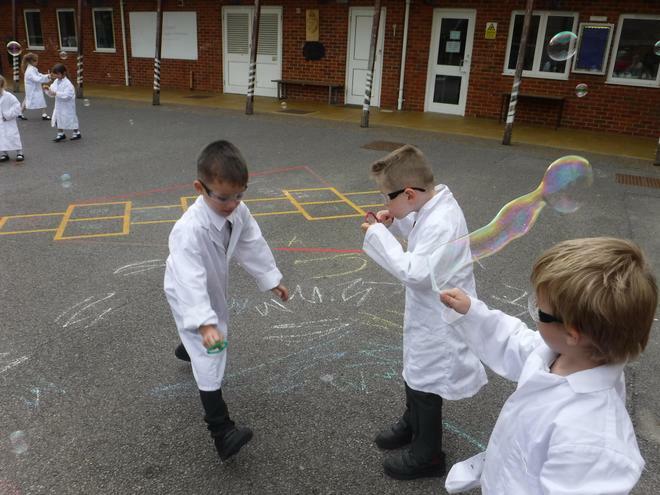 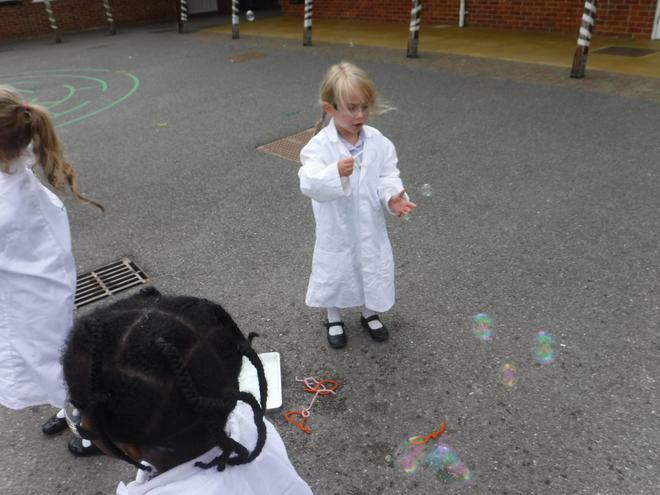 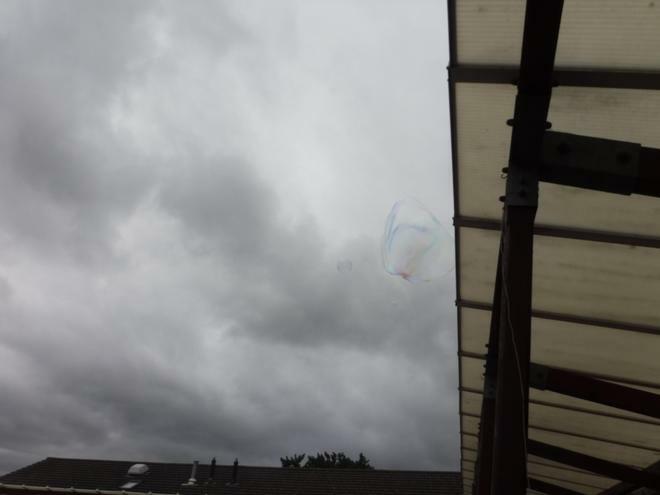 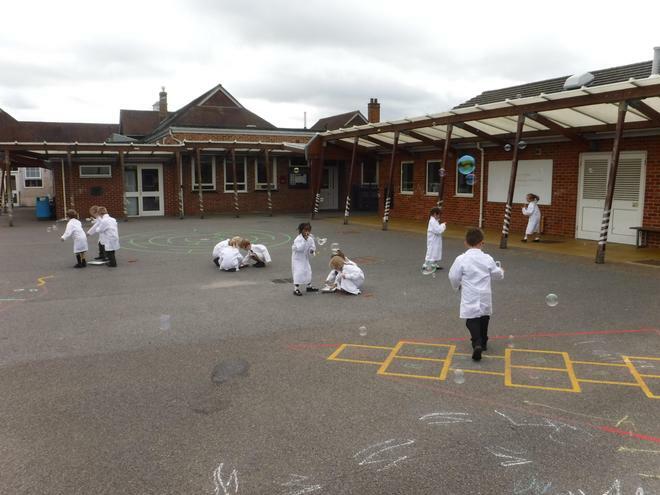 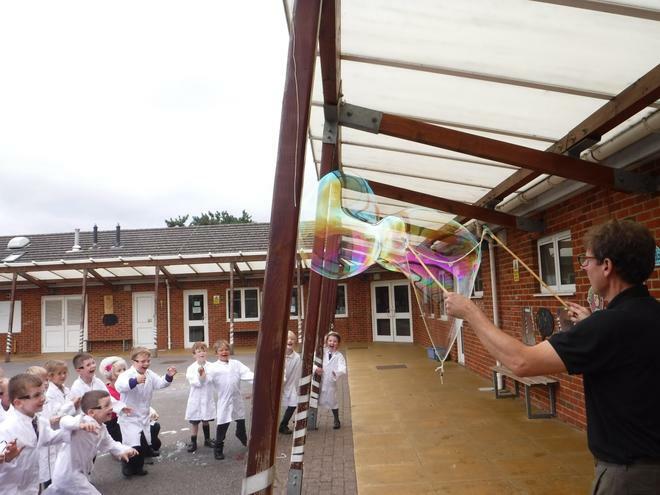 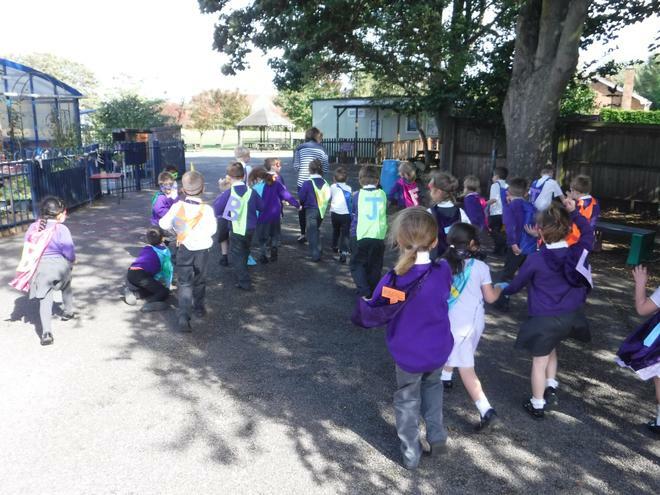 The children put on lab coats and went outside to see if they could make bubbles of different shapes or sizes. 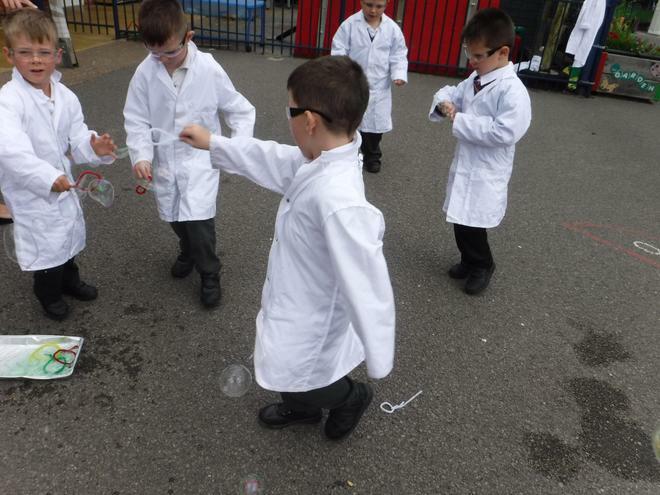 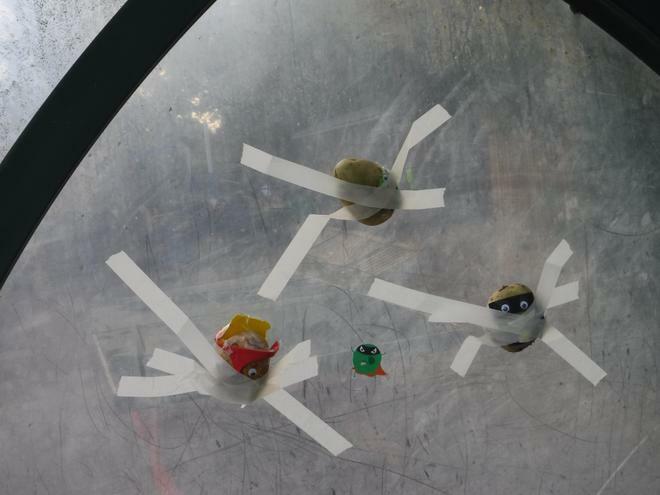 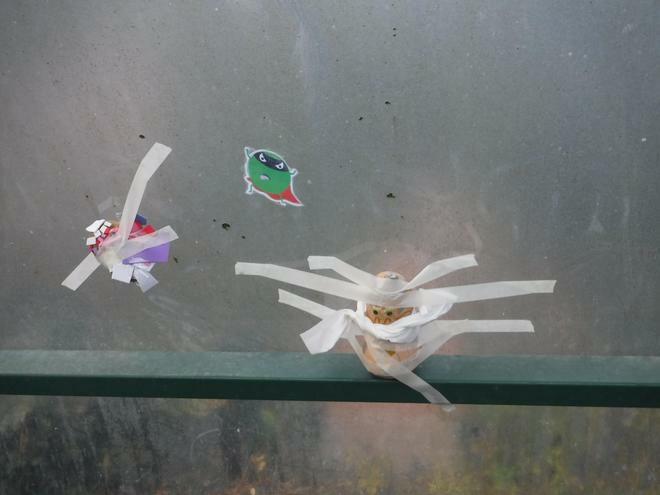 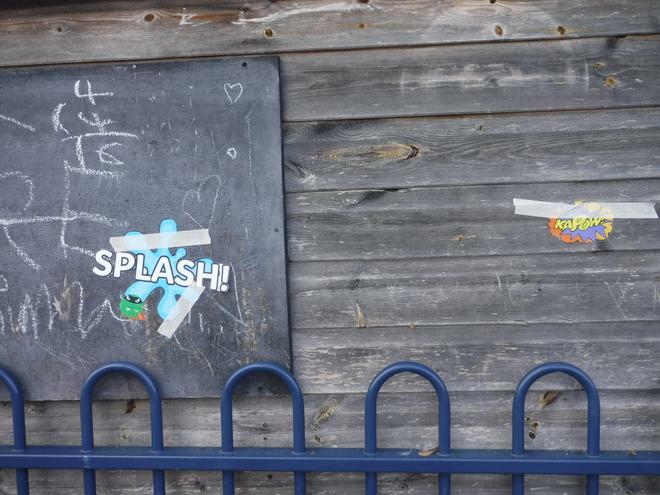 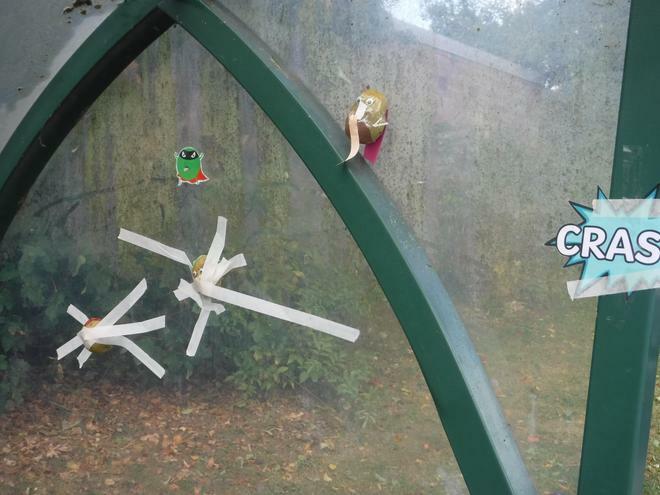 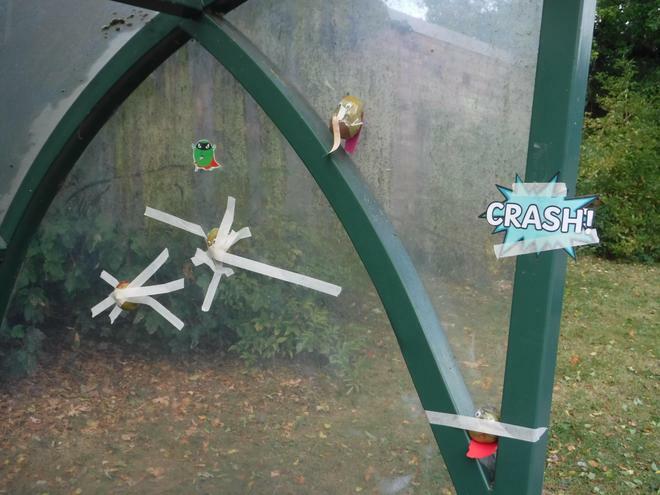 The children found they could make various sizes but no matter what they tried, they could only make round bubbles. 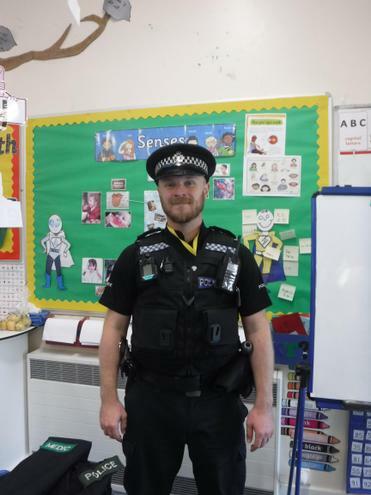 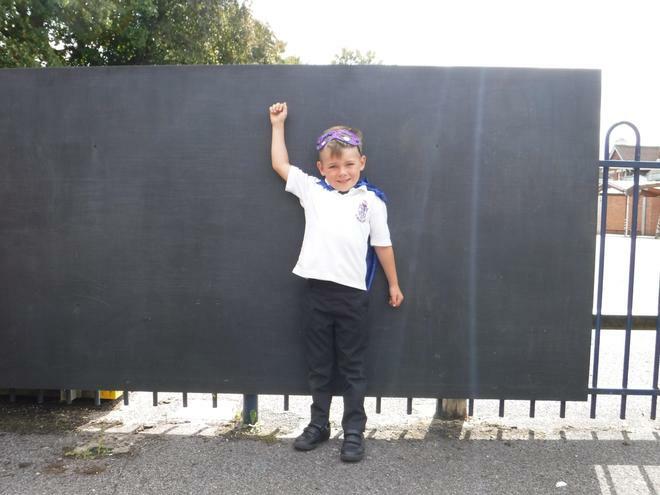 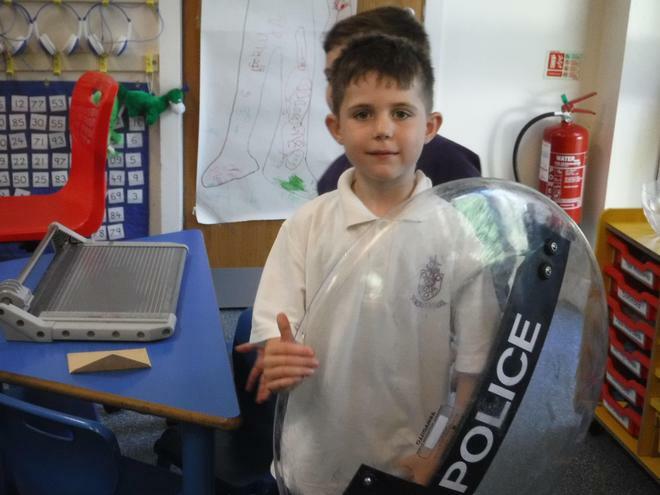 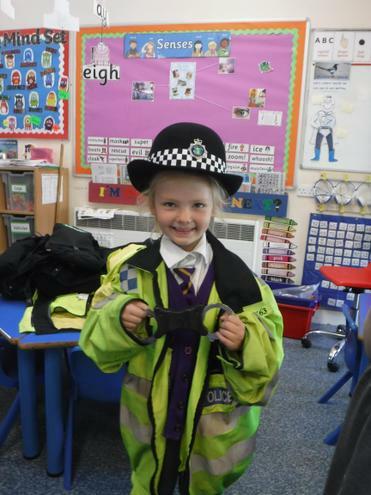 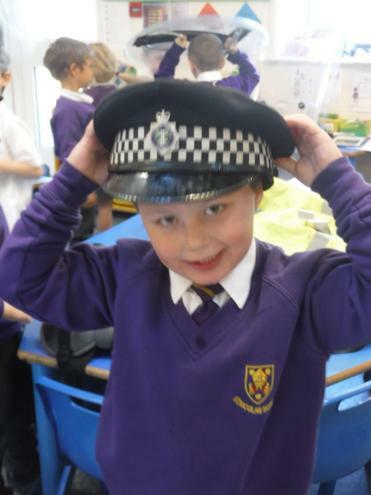 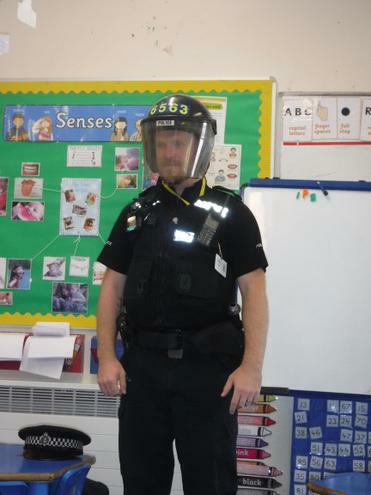 We met a real life superhero and learnt what it is like to be a policeman. 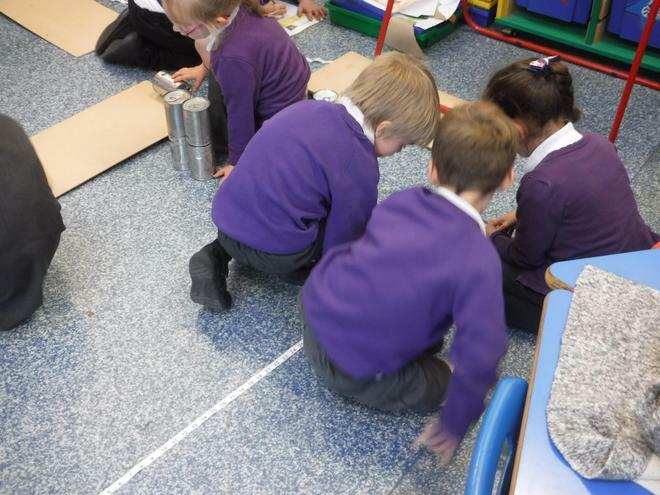 We heard a story about 'confusing cans'...the cans had fallen out of the cupboard and the labels fell off. 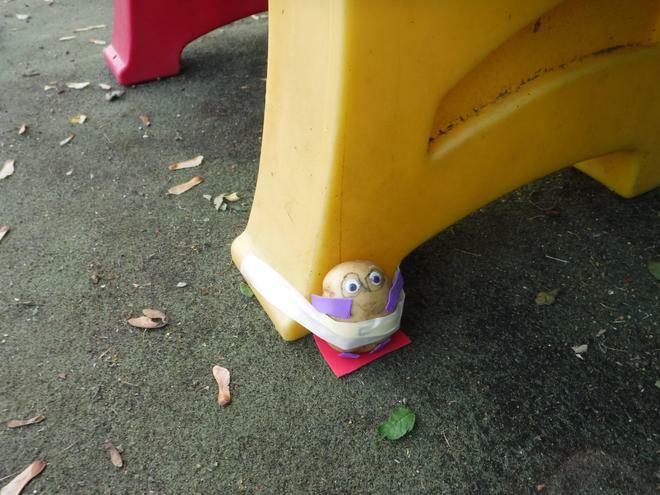 They did not know which can was the can of beans anymore. 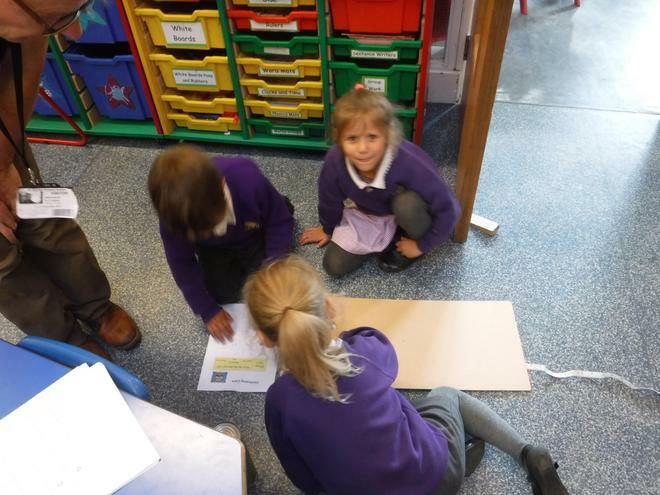 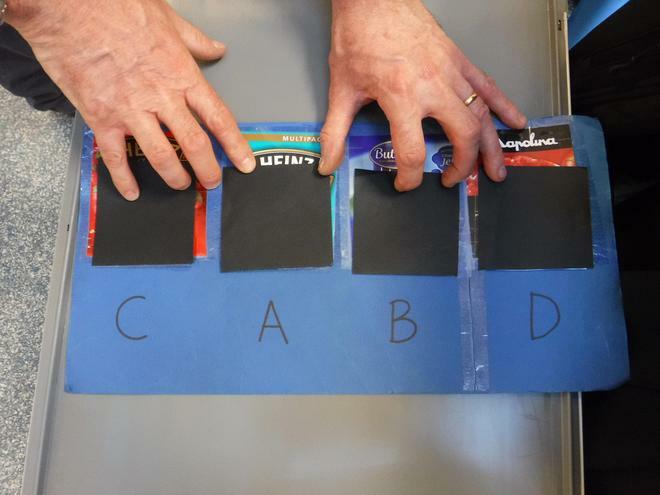 There were four cans labelled A,B,C and D, we had to investigate which can had beans inside. 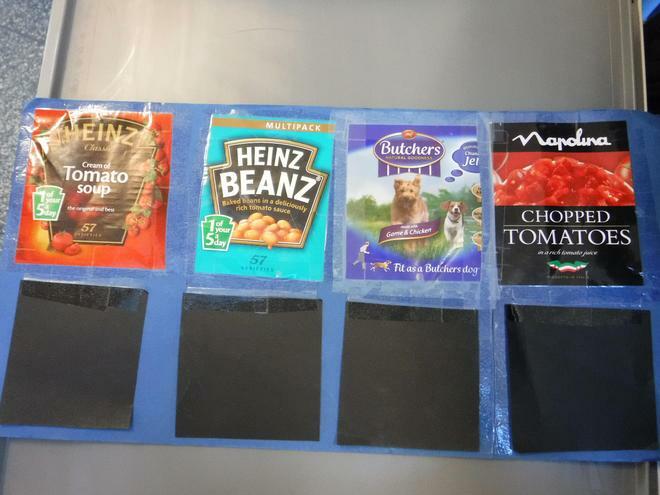 The other cans had dog food, tomato soup and tomatoes inside. 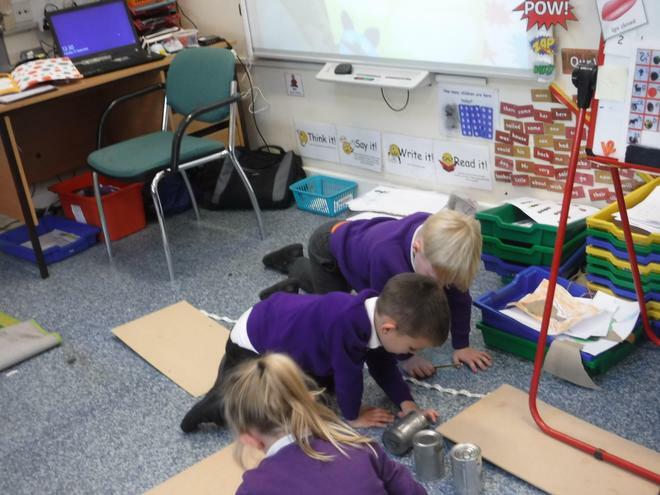 We got to investigate which can could be beans without opening the can. 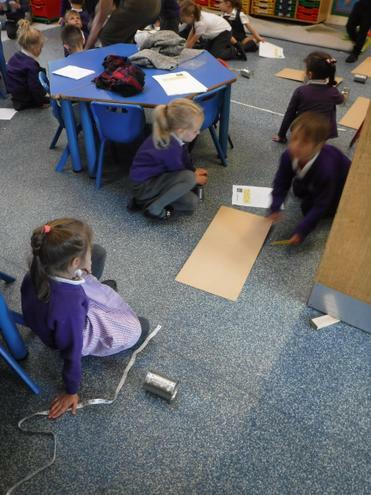 We rolled the four cans to work out which can would roll the furthest. 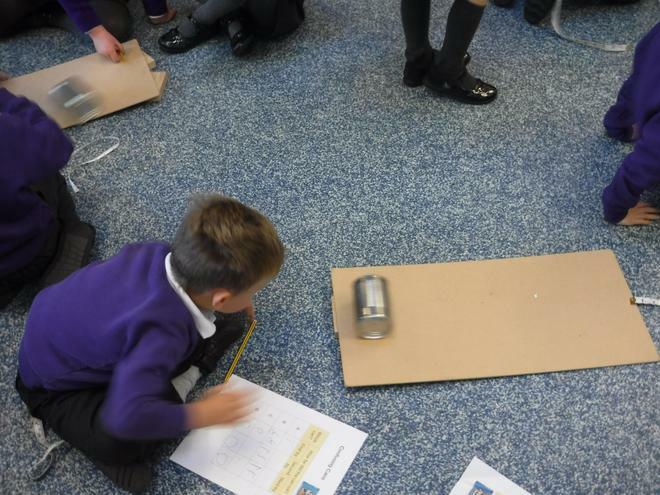 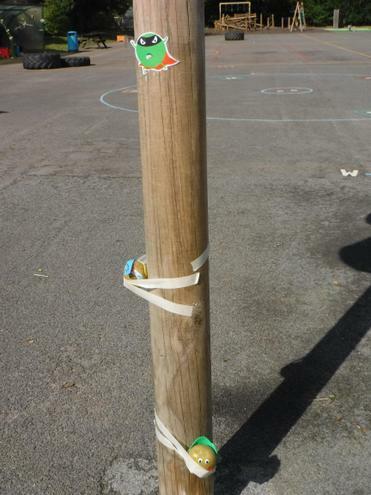 To make this a fair test we rolled each can three times and recorded our measurements.